On Wild Hogs and Javelinas. Taylor. Hogs have overrun America: They are found in the middle of our biggest cities and they cause untold millions of damage to farmlands and manicured gardens alike. Where did all these swine come from and how did they land up on American shores where they do not belong? The history of the hog in America is a long one that dates all the way back to the period of Columbus. Since that time no large feral animal has more successfully established itself and none has endured more attempts by the hand of man in controlling its numbers than the hog. The author gives us a comprehensive history of the feral hog, where they occur, how and with what to hunt them, how to trap them if they cannot be shot, what to be careful of (plenty! ), and what methods to use to help you get your hog. There is also a comprehensive section on the javelina, a very distant cousin of the feral hog. A thorough and all-inclusive appendix covers a remarkably broad array of hog and javelina facts, stats and terminology, and further reading in case swine fever has struck you! This excellent book will help you better understand these swine, how to outwit them, and how they will likely outwit you! Hog-hunting stories and recipes are included as well. This is an animal we will have to live with no matter what and will likely be around as long as rats and coyotes, which is forever. This book will help you hunt them . . . or to cope. For more than a century, the Ideal and then Lyman handbooks have been the reloaders’ core resource for proven reloading data. Lyman pioneered the concept of delivering a wide range of components to use in generating safe, accurate loads. 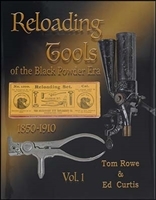 As reloading has grown, so have Lyman handbooks, with each edition eclipsing its predecessor, growing in size and quantity of data and becoming an important addition to every serious reloader’s library. 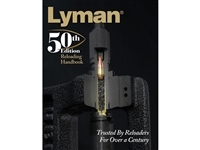 Lyman’s 50th Anniversary Edition continues Lyman’s heritage as being the proven source for reloading data. Lyman handbooks have always used the widest selection of cartridges, bullets and powder from all the major manufacturers. This 50th Edition continues the tradition of being the only data source using multiple brands throughout the data. Ammo & Ballistics 6. Forker. 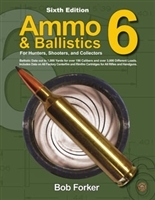 The entirely updated and revised Ammo & Ballistics 6 is now available and is better than ever! 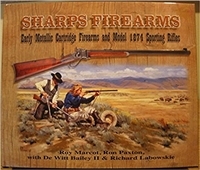 Ammo & Ballistics 6 contains data and illustrations on virtually every sporting cartridge sold in the USA. Besides clear and concise writing that clarifies the complexities of ballistic coefficients and energy versus momentum, this revised edition covers 200-plus calibers . . . from the .17 Mach 2 to the .700 Nitro Express. It contains information on rifle and handgun calibers, and it covers manufacturers, bullet weights, types, and construction. In addition, each caliber has an exact technical drawing with all dimensions and angles. There are over 3,000 tables with ballistic data for every caliber and every load for all commercially loaded hunting ammunition sold in the United States. Tables include velocity, energy, wind drift, bullet drop, and ballistic coefficients up to 1,000 yards. Manufacturers include A-Square, Aguila, ATK, Black Hills, CCI/Speer, Cor-Bon Bullet, Dakota Arms, Eley Ltd., Federal Cartridge, Fiocchi, Hirtenberger, Hornady, Patria Lapua Oy, Lazzeroni, Kynoch (Kynamco Ltd.), MagTech, Norma, Nosler, Inc., PMC (Eldorado Cartridge Corp.), Remington, Dynamit (Nobel-RWS Inc.), Sellier and Bellot, Ultramax, Weatherby, and Winchester. If you want to know where you will be hitting at long distances, this is the book for you. This book is, quite literally, indispensable for the hunter or shooter. One of the rarest longarms of the Civil War and the first American firearm to use centrefire ammunition. 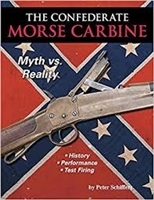 This new book covers the first accurate account of the Morse carbine’s production figures and manufacturing dates, as well as a full history of the armoury in South Carolina where they were produced, refuting claims that they were produced in Atlanta! Also includes details about which South Carolina units were issued these unique carbines and why. The author of the earlier work entitled The Italian Vetterli System, published by the Royal Armouries, has produced an enhanced volume containing more than three times the content of the original. 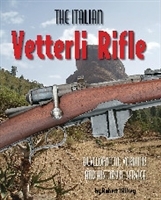 The Italian Vetterli was in service for over 40 years, and the author describes how it was developed as a long rifle, a short rifle, a cavalry and a police carbine, in single-shot form and later adapted for a variety of magazine feeds as the Vetterli-Vitali, Vetterli-Bertoldo and Vetterli-Ferracciù. The conversions from 10.35 mm to 6.5 mm calibres and subsequently to a .22 training carbine are also covered in detail. Contains new information on the arms factories that manufactured them. This new book expands on the history and use of the weapon on active service in some of the less well-known campaigns in Europe and Africa including Ethiopia, Somaliland, Libya, Ireland, Russia, China, Turkey and the Spanish Civil War. This book will appeal to both the firearms collector and the military historian. The wealth of research and detail fills a gap in the history of early breech-loading military rifles. This book started with the idea it would be one volume, plans change and the mass of important material dictated that two volumes were needed. Profusely illustrated with photos and antique drawings.